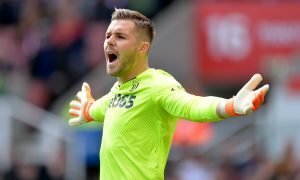 Mark Hughes set for nervy January as European club eye move for Stoke City star | The Transfer Tavern | Where football transfer rumours fly or die! Stoke City fans are gathered around the jukebox in The Transfer Tavern this evening, are discussing reports that an Italian side could be set to make a bid for one of their star players in January. Talksport are reporting that Roma are lining up a move to bring Ibrahim Afellay to the club. Afellay only signed for Stoke during the summer after four-and-a-half injury plagued years at Barcelona, and was once labelled by many here in the Tavern as one of the most exciting prospects for the future, during his time with PSV Eindhoven! Stoke manager Mark Hughes decided to take a punt on signing Afellay and the player has not looked back since joining, starting 11 games for the club and putting in some truly impressive performances. Those performances seem to have attracted Roma, who look set to test Stoke’s resistance by making a bid for the player in January, and our resident Potters fans are pretty gutted about this news! 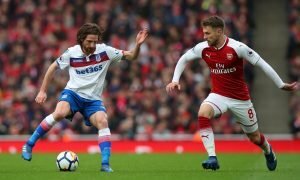 The Stoke fans in The Transfer Tavern would be sorry to see Afellay leave the club, but should he go in January, he would undoubtedly leave with their best wishes. Stoke fans….. What do you make of this news? Just how good is Afellay? Do you imagine he would like to leave? Let us know below!